Fancy a pint of the not-so-dark stuff? Guinness, maker of the famed Irish stout often called "the dark stuff," is rolling out a new lager aimed at American beer drinkers. 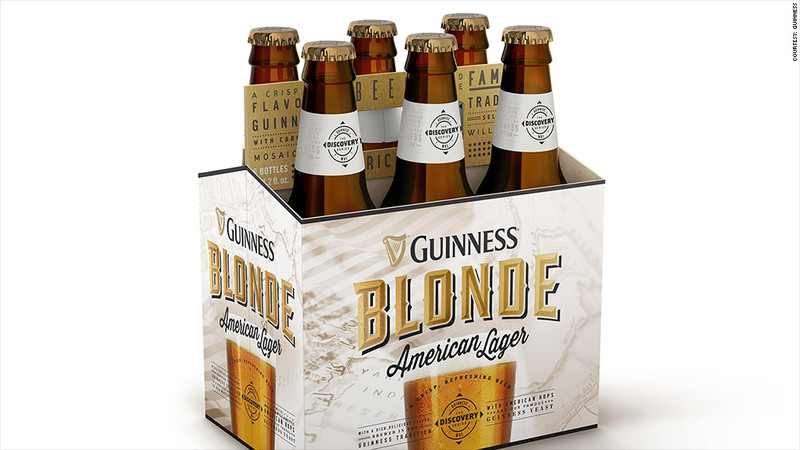 Guinness Blonde American Lager will go on sale later this month. The amber colored beer is made in Latrobe, Pa., the heartland of U.S. brewing, using a combination of Guinness yeast and American ingredients. It will be 80% lighter in color than Guinness Draught. The lager is the first beer released under the "Guinness Discovery Series," a program designed to combine traditional European brewing methods with new techniques. 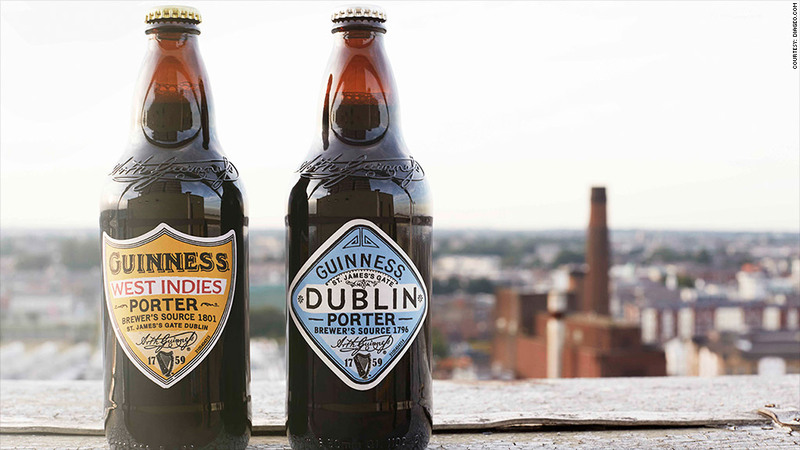 Meanwhile, in Ireland and the United Kingdom, Guinness is introducing Dublin Porter and West Indies Porter at select locations this month. Guinness, which has been brewing beer in Dublin for 255 years, is looking for ways to innovate as the beer market is disrupted by an explosion of craft breweries. Overall beer sales have been down for four of the past five years. But craft beer sales grew 17% last year, and represents about 20% of the overall $100 billion dollar U.S. beer market, according to the Brewers Association. Some of the largest beer companies have been getting in on the action. Earlier this year, Anheuser-Busch InBev (BUD), the nation's largest brewer, struck a deal to buy Blue Point Brewing Company, a microbrewery in New York. Molson Coors Brewing Company (TAP) has introduced a number of its own craft beers, including Blue Moon Belgian White. Pabst Brewing, known for reviving faded beer brands, recently brought back one of the most popular ales of the 20th century: Ballantine. Ballantine India Pale Ale was once one of the biggest selling brews in America and a sponsor of the New York Yankees in the 1940's and 50's. But it went into decline in the 1960s and Pabst had to recreate the recipe based on reports of the flavor after the original formula was lost. Guinness, a division of Diageo (DEO), said its new beers were also based on historical records. It used diary entries made by its brewers more than 200 years ago as inspiration for the new porters. The West Indies Porter, for example, is made based on an 1801 diary entry for a brew that was made to remain fresh on long sea voyages to the Caribbean, according to Guinness.